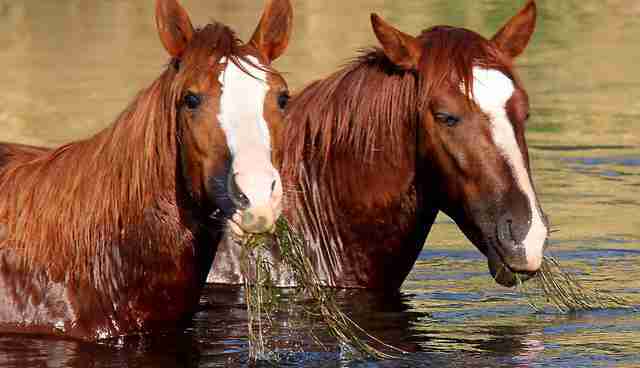 Young Horse Saves Friend From Drowning. Now Both Need Saving From America. Over a million people watched this video of the heroic Salt River stallion saving a beloved filly from drowning. Now this stallion and his herd need your help to survive. The US Forest Service just announced its plans to roundup all of these amazing wild horses and remove them from the Arizona lands they have called home for over a century. Although the Forest Service itself admits that the horses have been present in what is now the Tonto National Forest for decades before Congress unanimously passed the Wild Free Roaming Horses and Burros Act, the government is now calling them "stray livestock" and will "impound" all "unauthorized" horses from the Forest beginning in two short days! Worse, because these horses lack federal protection, legally they can be sold for slaughter! We can't let this happen. 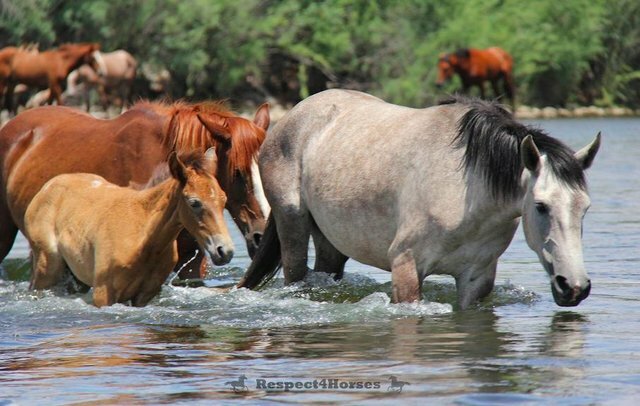 The Salt River wild horses are beloved by the local community and tourists throughout the world. They are part of the area's heritage and an important natural resource that must be preserved. The Salt River Wild Horse Management Group reports that Salt River horses are one of the most unique wild horse populations in the world. While horses don't typically hang out in water much less submerge their heads beneath the surface, the Salt River horses actually snorkel for eel grass as a nutritious food source. And, since it is essential to be comfortable around the river, babies learn within a week of life how to swim and, later on, are taught how to "snorkel."